Michael Omer graduated from the Guildhall School of Music & Drama, London, where he was awarded the Alexander Grosz Memorial Prize for composition. He also won the Llangollen International Composers’ Competition, a silver award at the New York Film & Television Festival, and has contributed scores to many award-winning television and film productions. 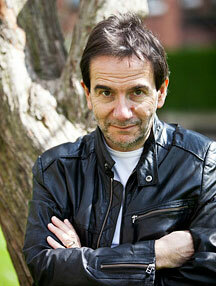 He now enjoys a wide-ranging career writing a variety of music, for television, film, theatre and concert hall. Michael wrote the music for the Oscar Nominated It’s Good to Talk, produced by Barney Reisz, and directed by Roger Goldby. This Academy Award Nominated Movie was on UK general release with the Bond movie. He collaborated with writer/producer Julian Fellowes (Oscar: Best Screenplay, Gosford Park) scoring the BBCTV BAFTA nominated drama The Prince and the Pauper. He also produced a CD single for BBCTV’s long running “ER” style drama Casualty, for Warner UK - the song Everlasting Love featured in the final episode of the series and entered the Chart Top Ten straight at number 5, alongside Celine Dion, and Madonna. This was voted the viewers’ all-time favourite episode! Also in the genre of costume drama, Michael composed, orchestrated and conducted the title and incidental music for BBC Television’s Little Lord Fauntleroy starring Hollywood veteran George Baker, and this won an International EMMY showing on Disney Channel USA, and continues to sell worldwide. Other television credits include Everyman; the teen-soap The BiZ! (three series); Five Children & It; Return of the Psammead; One by One; (all BBC), Equinox (C4); Henry’s Leg (Meridien/TVS); together with an all-singing all dancing christmas special for BBCTV, which featured, amongst others, UK stars David Jason, Lenny Henry, & Bruce Forsyth, which won him the Silver Award at the New York Film and Television Festival in the category “Best Music & Lyrics”. Other work includes a major drama-documentary series Royal Deaths & Diseases, produced by Lion Television for C4, a film for the long running series Secret History, and commercials produced by Mosaic Films for M & C Saatchi. Many of his concert works have had performances in London venues: To the Stars - a requiem for the Space Shuttle Challenger (Barbican Hall), Ombra della Sera (Purcell Room), Little Star Began to Sing, (St John's Smith Square - also performed in Riga by the Latvian National Symphony Orchestra). Always open to ideas from a wide range of sources, artist David Hockney is the inspiration for another concert hall work, commissioned with funds from the National Lottery’s ‘Awards for All’ scheme: Mulholland Drive - David Hockney’s Road to the Studio, draws it’s colour and energy from the epic 1980 canvas of a similar name. Most recently, Michael was commissioned to write The Rages of the Ages for the London Mozart Players, and this also received a broadcast on BBC Radio 3.